Aberdeen City Council have admitted they don’t have the funds to fix decaying road signs in the city, sparking safety fears. 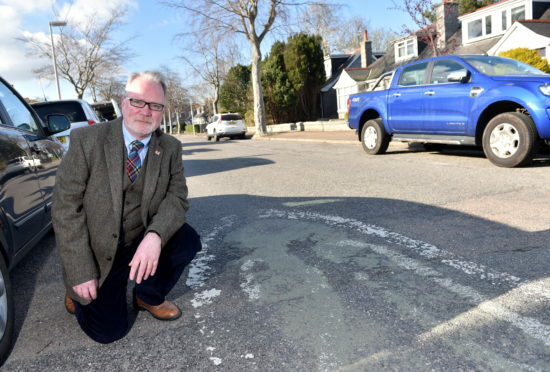 Councillor John Cooke contacted the council over barely visible road markings on Angusfield Avenue– a Twenty’s Plenty zone. When he spoke to officials, however, he was dismayed to be informed that budget cuts meant it and other 20mph signs couldn’t be fixed. Due to “agreed reductions to the maintenance budget” Mr Cook was told Aberdeen’s twenty’s plenty scheme “cannot be supported with current resources levels”. The decision not to maintain the network of signs has been taken despite the belief the scheme has helped to reduce speeds and improve road safety. 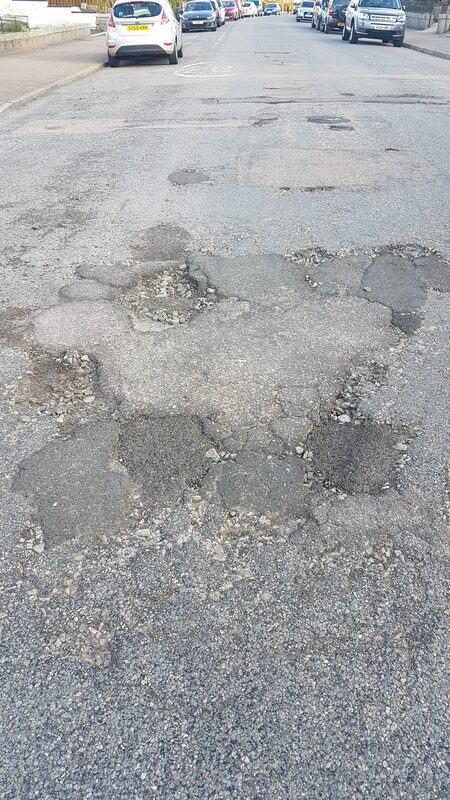 Mr Cooke said: “I’m sure people across Aberdeen will be rightly dismayed to see budgets for road repairs and maintenance slashed alongside a move to using the cheapest materials. “The administration needs to recognise that cutting the maintenance of these signs is likely to have an impact on road safety in the area. A council spokesman said: “The Twenty’s Plenty scheme was installed some years ago following a funded promotion of the scheme. “It is an advisory rather than a regulatory speed limit and therefore not enforceable. The spokesman added that if a current Bill progressing through the Scottish Parliament – which seeks to introduce widespread, mandatory reduced speed limits in built up areas – is successful, then they would be able to allocate funds to streets such as Angusfield Avenue. Fellow councillors in Mr Cooke’s Hazlehead, Queen’s Cross and Countesswells ward have also raised concerns over the fact that signs will not be refurbished in the near future. Martin Greig visited Angusfield Avenue yesterday due to concerns about potholes, pavement parking and a lack of speed bumps. He said: “It is crucial road safety is respected, and signage needs to be visible and of sufficient quality. “The 20mph speed limit needs to be observed because this is a residential street with vulnerable pedestrians of all ages. “The council is not even managing to provide the basics to ensure a safe enough environment so that everyone feels secure. Fellow councillor Jennifer Stewart said she has been expressing concerns about speeding in the area “for years”. She said: “Residents need to be kept safe and it would be helpful to have the signs repainted. The Twenty’s Plenty scheme was hailed by parents and schools when it was rolled-out in the city following a Scottish Government grant. In 2003, streets around 48 schools in the city were zoned with 20mph advisory limits in an effort to improve safety.